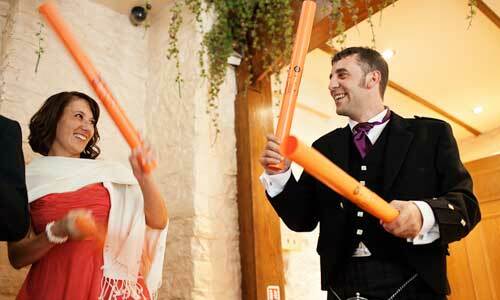 Why not book Slappingskins for your special day? 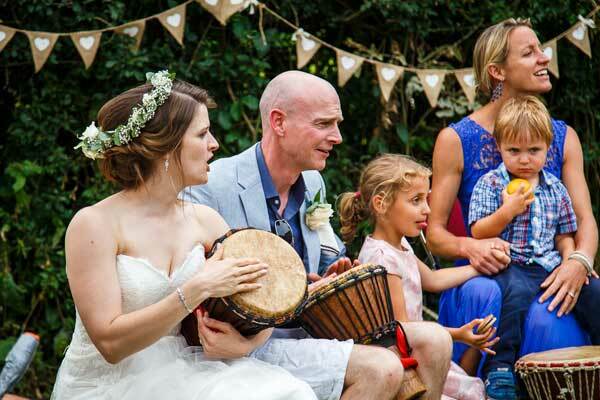 A drum workshop/drum circle can help ensure that your wedding day goes off with a bang and that your guests all have an exciting and memorable experience that they will talk about for years to come! 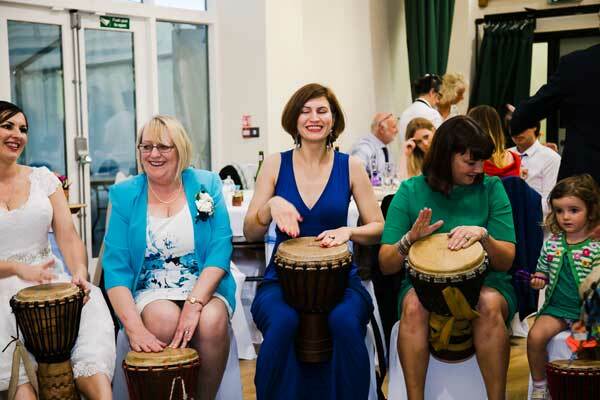 A wedding where you get an opportunity to do something new and have fun playing drums with other guests who you may not know is a great way to break the ice and introduce different guests to each other and turn your day into a really social experience. 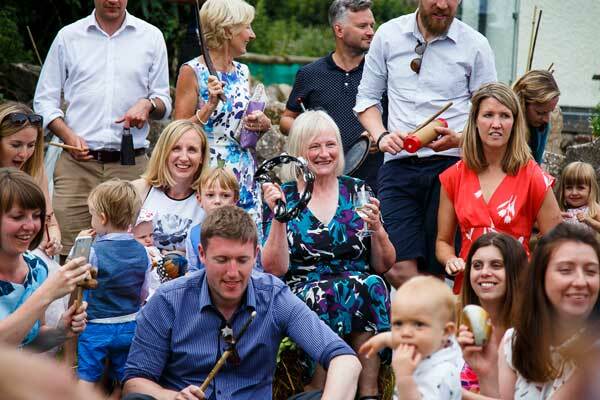 Slappingskins has developed a really inclusive set of games and ice breakers that can help can facilitate a memorable participatory experience that will connect and entertain your guests. 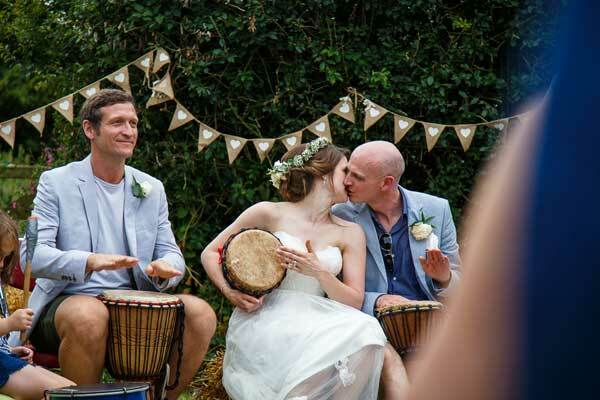 Here’s how you can use drumming to create an exciting and memorable wedding day! 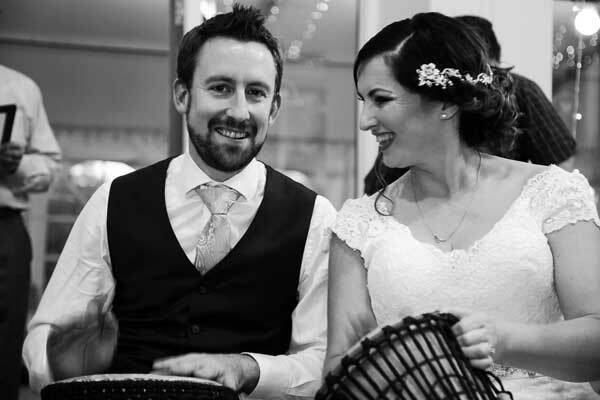 Aaron takes on the role of a wedding entertainer offering drumming workshops and circles throughout the UK including London and the Home Counties. 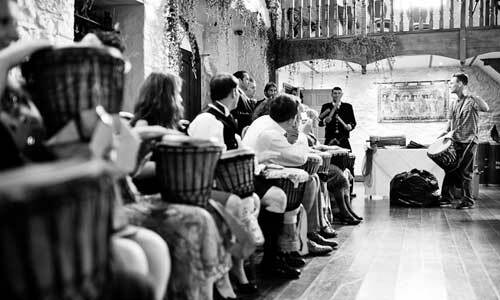 Celebratory drum circle for the bride, groom and guests where everyone can join in the rhythm and enjoy drumming, shaking, playing bells or other assorted percussion. 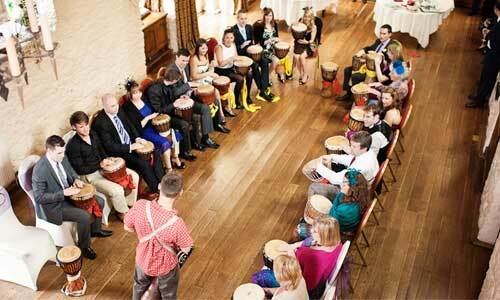 The drum circle is a great opportunity to let go, have some fun with your friends and family and try something new. 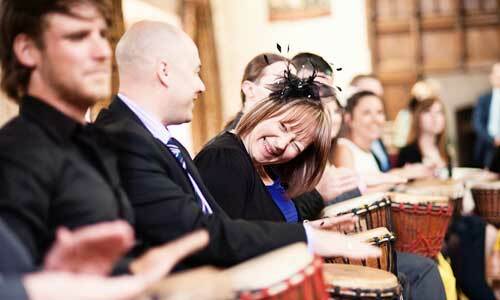 Guests will get an opportunity to become the drum leader/conductor and take over leadership of the percussion orchestra. It’s great fun being the maestro. 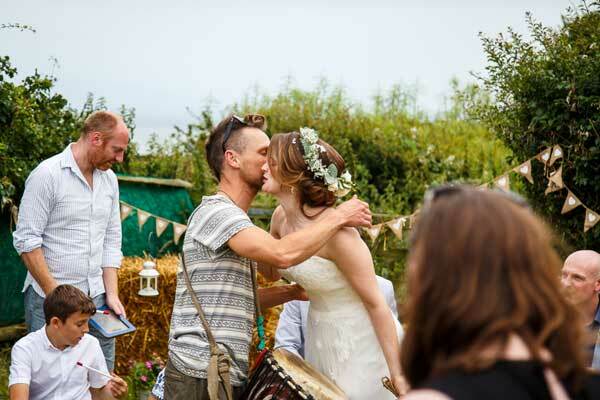 Watch your guests conduct their way into your precious memories. 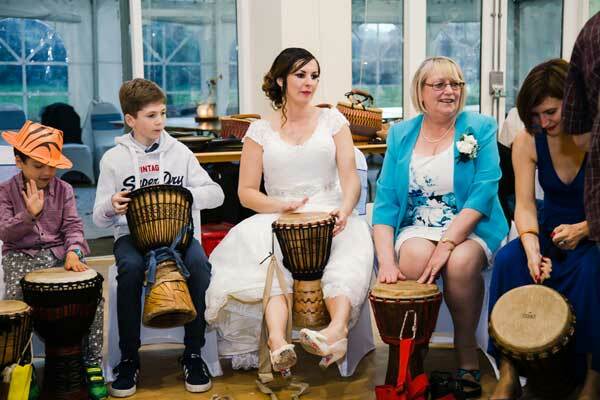 Drumming workshops for the younger guests who want to be doing something whilst mum and dad are engaged in conversation and catch up with seldom-seen loved ones. 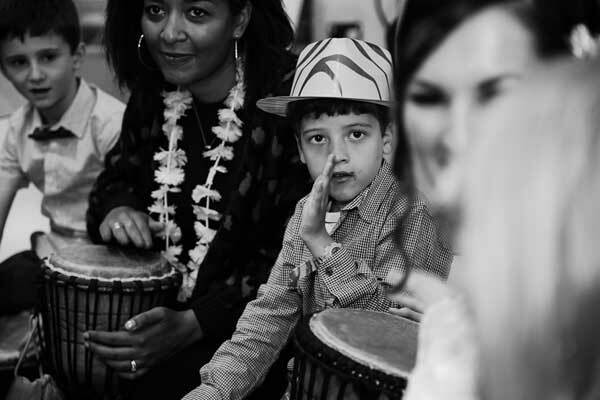 Slappingskins can run a drumming workshop with lots of games and fun rhythm activities for the young guests and assist them in putting on a little show to celebrate the special day at the end of the session.